There are companies out there who claim to be qualified when it comes to striping your parking lot. We've actually seen a guy in a pick-up, with a roll of tape and a spray can attempting to paint a parking lot. The truth is, correctly striping a parking lot can be very complicated. It requires specialized machinery and paint. For new projects, it requires the ability to not only read a set of plans, but the ability to transfer those measurements onto a blank asphalt surface. 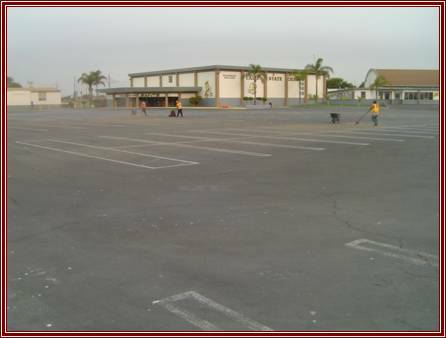 For us, a freshly sealed parking lot is much like a large canvas waiting for paint. When done correctly, there really is nothing more beautiful than a freshly sealed and painted parking lot. 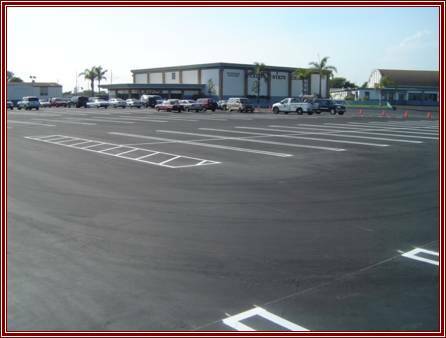 We are not only qualified to re-stripe your parking lot, we can also design new parking lot layouts to solve parking problems or handicap parking issues. St. Buena Ventura High School before striping. St. Buena Ventura High School after striping. to receive your Free Quote. 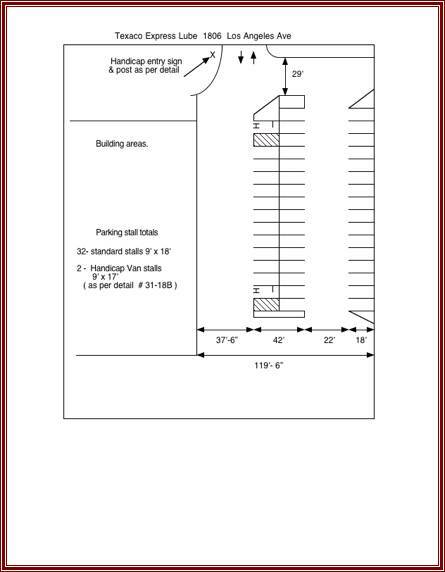 City approved striping plan for Xpress Lube. to stripe your parking lot.